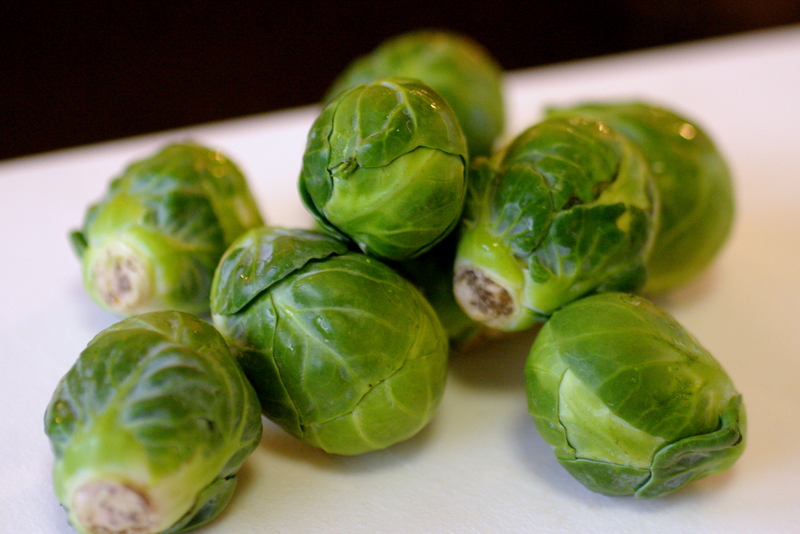 I’m not even going to try to convince you that Brussel sprouts are yummy and that you should run out immediately and get some for dinner tonight. 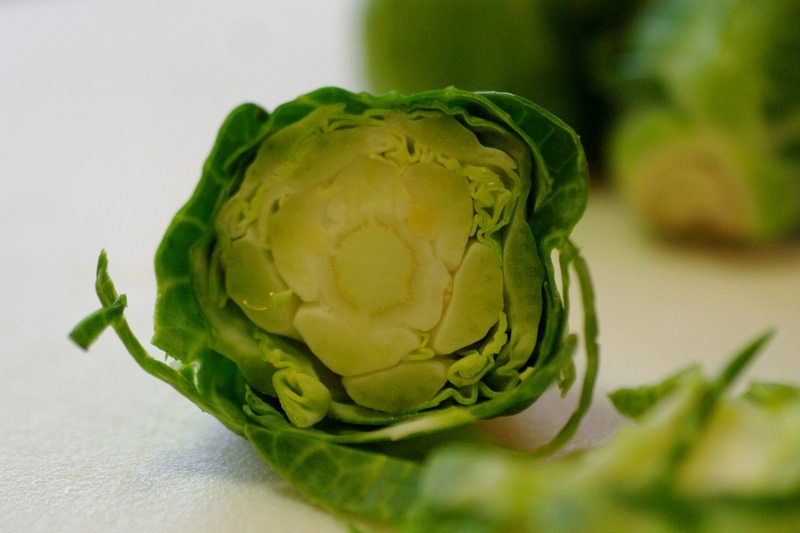 I think that people fall into one of two categories when it comes to Brussel sprouts–you either love them or think that they are gross and inedible. It’s kind of like with cilantro: there is no middle ground. While I fall into the hate category on cilantro, I’m having a bit of a love affair with the sprouts. I never ate them growing up, and my first taste was only a few years ago at Custom House, where they roast them in mini-Le Creuset pots and slather them with butter and bacon. How could it not be lust at first bite?? I’m obviously not alone in my crush on the little cabbages, because they’ve been popping up on menus around the Chi lately. A few weeks ago at the Purple Pig, I had a yummy grilled cheese sandwich with a side of Brussel sprout slaw that was so happy I actually left most of my sandwich on the plate and inhaled every bit of the slaw. 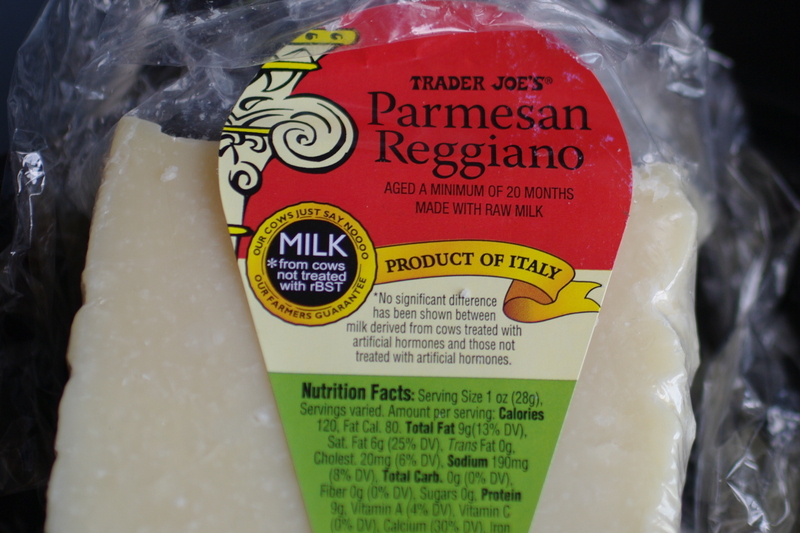 You know it has to be delish if I’m leaving melted cheese on toasted bread behind. Their slaw is served with a light vinaigrette and shavings of nutty cheeses, so again, goodness on a plate. I’ve been talking about that slaw since there was snow on the ground, so I finally decided that I’d try my own version for Easter dinner. This was tricky, because while I could have lied and passed it off as regular cole slaw so that at least one bite would be taken, who serves cole slaw at Easter? I mean, eyebrows would have been raised. 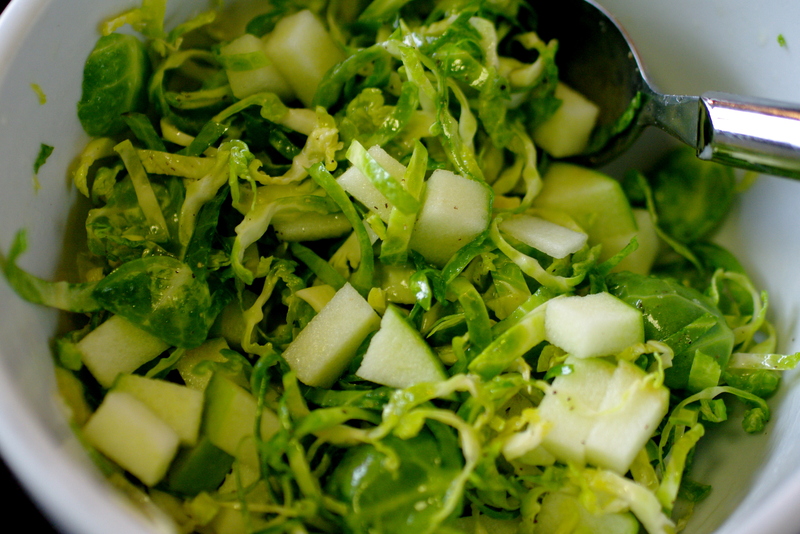 But, I just loved the cool green freshness shaved sprouts have–it just sung Spring to me–so I was honest and confessed my side dish intentions. You can imagine that this was not met with a warm reception. But promises were made to at least taste it. I decided on a simple recipe using lemon juice, olive oil, green apples and salt and pepper (and I’ll admit that I made a little bacon to sprinkle on top in case there were true objections to the slaw. What doesn’t taste better with a bit of bacon?). 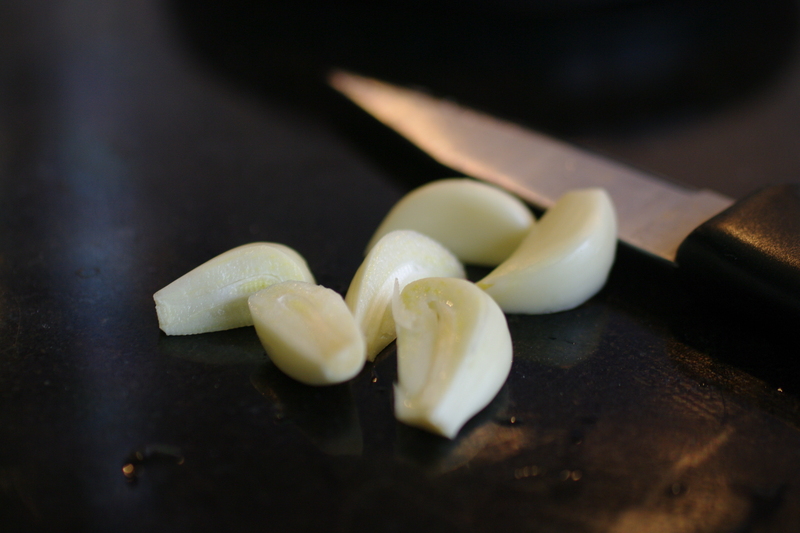 I initially thought I could use a grater to get the slivers, but it was far easier to do a chop with a sharp knife. And, seriously? It was tasty (you shouldn’t be surprised given the title of the post). It was exactly as I hoped: light and fresh, with just a hint of the lemon. The apples added a bit of texture and the olive oil (which I added just before I served it), wilted the leaves just enough so that it didn’t seem like we were chewing on blades of grass. 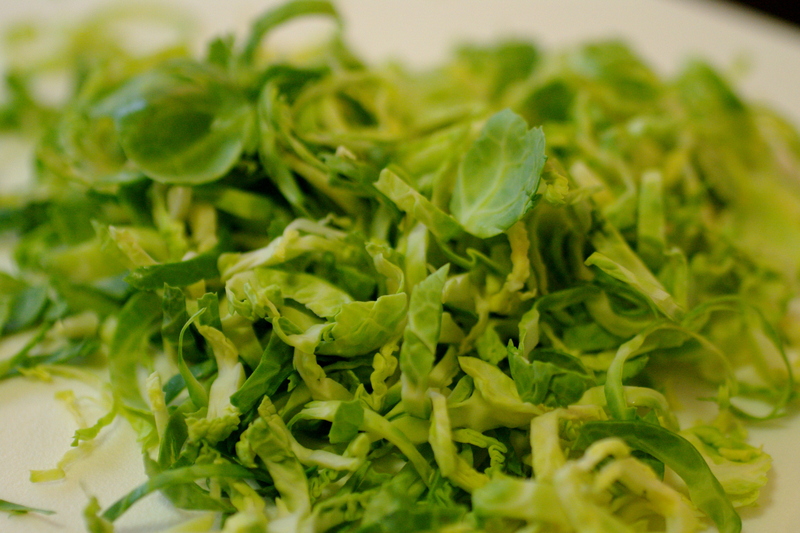 Chop the Brussel sprouts (starting at the top and to about mid-way down to the stem) finely; place in serving bowl. In separate bowl, mix the olive oil and lemon juice. 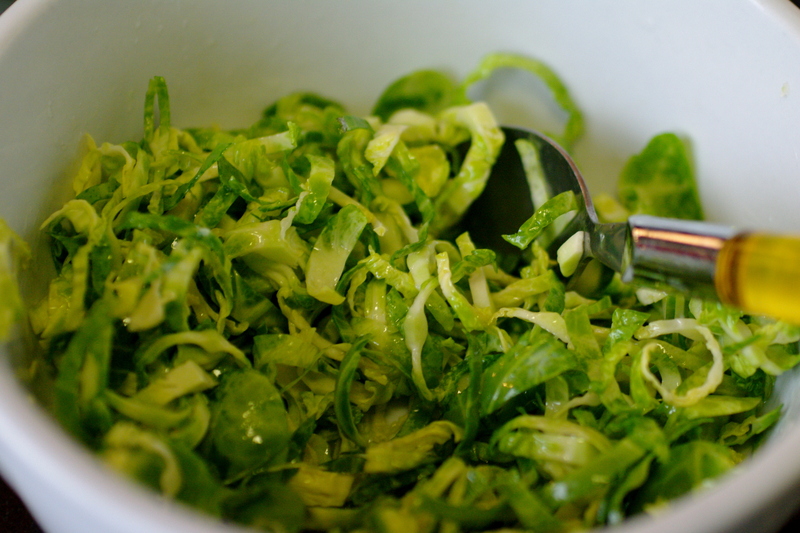 Pour oil/juice mixture over sprouts (I did this in batches so that it wouldn’t get too oily–add enough for your liking). Add the apples and salt and pepper. Mix well. Fall in love. After the food debauchery of last week, I needed a total detox from all things heavy, buttery, sauce-laden and sugary. So, basically anything that tastes good. I had a wonderful time eating my way through this magnificent city–and would do it again in an artery clogged heartbeat–but I decided to take this week to try to incorporate some vegetables and whole grains and fruit into my meals. Woo hoo….? The thing about having so many tasty dishes over the course of a week is that my tastebuds and body have completely gotten used to all of the goodness, so I knew that if I wanted to eat well this week I was going to have to find big, bold flavors to trick myself into doing it. Luckily, I was actually craving spinach (strange, I know. When I was a kid one of my favorite lunches was ground beef and spinach, which my mother would put in my Wonder Woman thermos. Any wonder that I used to bribe kids with cookies to sit with me at lunch?). I knew, though, that if I had to come home after a day of work and some [very little] time at the gym and sit down to a plate of spinach salad, I was going to reach for the phone to make a reservation at the closest place serving anything decadent. 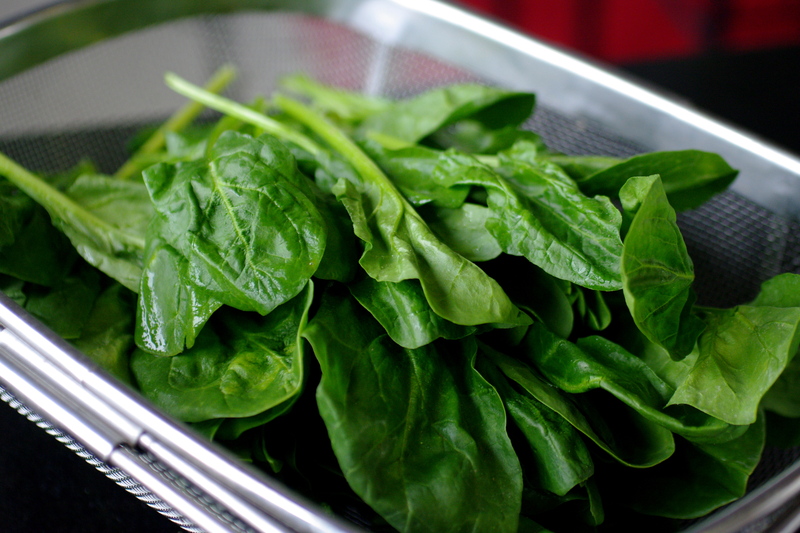 But really, how many ways are there to make spinach fun? And quick? And easy? 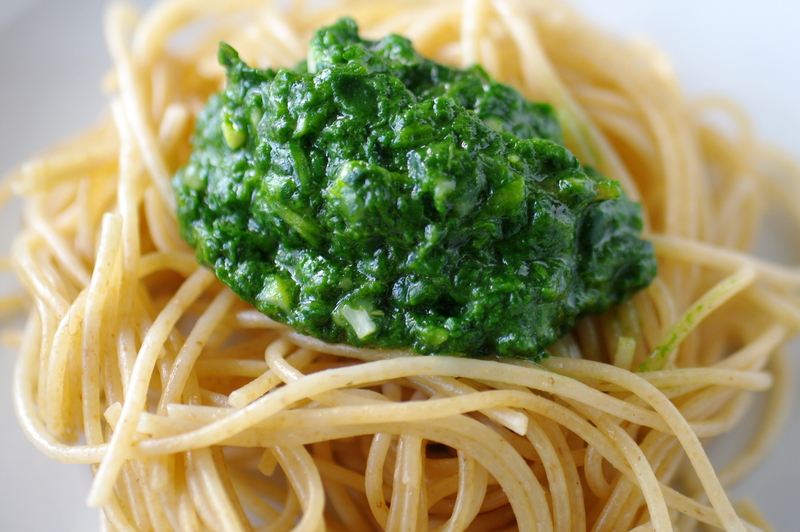 For some reason, spinach pesto popped into my head and I’m really happy it did. Not only did I get to feel all manner of virtuous as I tore up my spinach leaves and chopped my garlic and grated my parmesan cheese, I had a delicious way of eating my veggies and not feel like I was suffering. In full honesty, I think you’d have to eat the equivalent of a jar of the pesto to actually get the full benefits of a serving of spinach, but let’s not burst my little healthy bubble, ok? 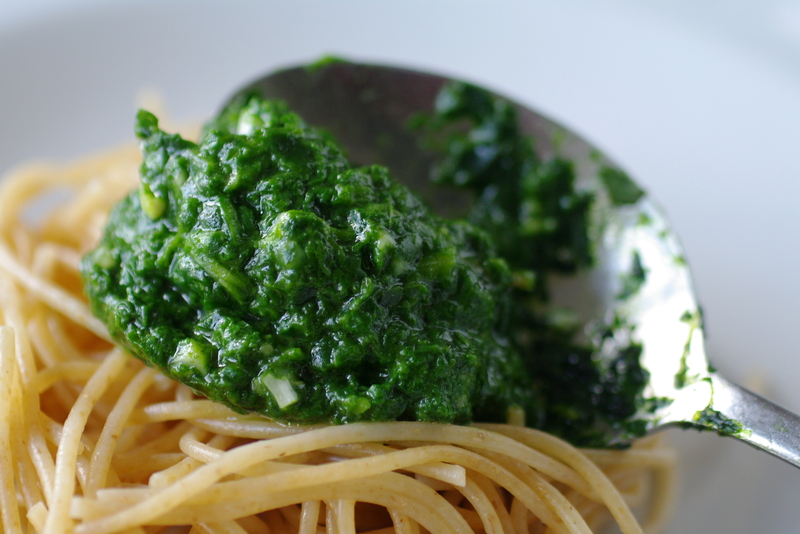 Making the pesto was easy, and I say this even after I had to use a blender to do it (I don’t own a food processor–something I was really annoyed about at 7 in the morning when I was making this pesto so that I would have it all ready to go when I got home). I ended up making whole grain pasta and grilling some chicken, and voila! A completely healthy and tasty meal that didn’t leave me feeling deprived or unsatisfied, which would have also made me super crabby. And no one needs that. I was happy to have a week of simplicity and goodness. Especially after I read about Chicago Chef Week. See you there? 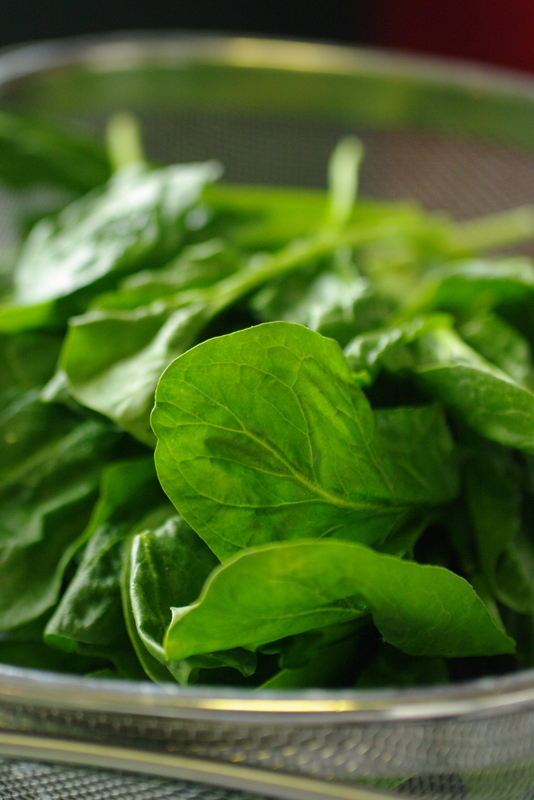 Place a few spinach leaves, garlic, basil and a little oil in blender or food processor container. Cover and puree until leaves begin to look crushed. Continue adding spinach leaves a few at a time with small amounts of oil to blender, using a rubber spatula to help combine pureed mixture. Add cheese and salt. Cover and process until mixture is smooth.